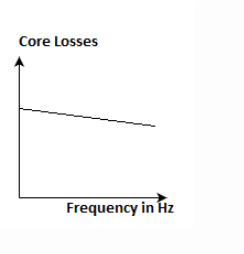 Core losses of a transformer as a function of frequency is best approximated by which of the below characteristics? 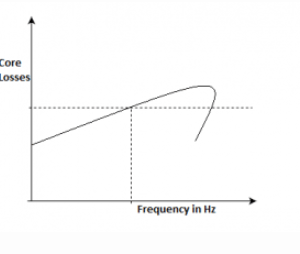 The load current at which maximum efficiency occurs is independent of the load power factor. I. Maximum voltage regulation occurs at the leading p.f. II. 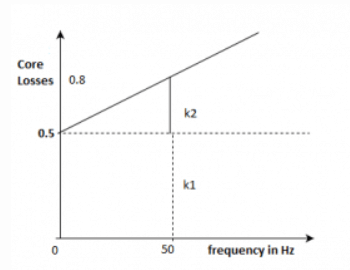 Maximum voltage regulation occurs when load p.f. 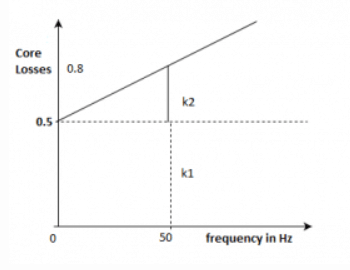 angle and impedance angle of the leakage impedance are same. III. V.R. at zero p.f. is always zero. IV. V.R. 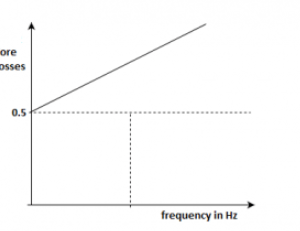 of a transformer may be negative at leading p.f. Which of the statements made here are correct regarding the transformer? Which of the statements made here are incorrect regarding the transformer? Mutual flux ______ at the lagging loading and it _____ at the leading power factor. 1. I. Maximum voltage regulation occurs at the leading p.f. 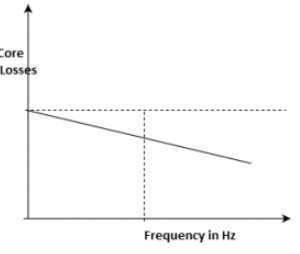 Which of the below mentioned losses occur in a transformer?